+What do i do if i have had an accident? First Contact your insurance company and fill out our Accident Repair Checklist, then get in contact with us and we can advise on the best course of action and help you get your car fixed with minimum disruption to yourself. +What if my insurance company wants me to go to another shop? You have the right to go to the repair centre of your choice. Your insurance company cannot require you to go to a particular repair centre. +Am I entitled to a rental vehicle? 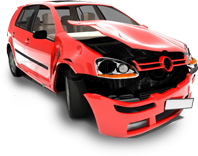 Your insurance company has the definite answer to this question as they are responsible to arrange a car. +Can i get a lift home when i drop off my car? Yes, we would be happy to provide this service to you if you live/work in Lerwick/Scalloway. +Do I need an appointment for an estimate? No you do not need an appointment. We are available during business hours Mon-Fri, 8:00 am to 4:30 pm. An estimate will take approx 10-20 Mins depending on the size of the vehicle and damage. We always recommend that you phone us to check availability depending on how busy we are. +How long will it take before you can start the work? We can begin the repair to your car once we have authorisation from your insurer or your authority if you decide to pay for the repair. +Do you offer any finance when buying new or used cars? Yes, we can introduce you to our finance provider who may be able to provide funding on your vehicle. We can only introduce you to this lender and may receive commission or other benefits for doing so. Credit is subject to status and is only available to UK residents ages 18 or over. Yes we accept trade ins, please contact us for more details. Copyright © 2016 - 2019 M.R.Gair Ltd. All rights reserved.